Didn’t quite get to posting on Friday due to waiting for Day’s prediction which never came. Most of the Warriors see the Cats bouncing back for their Homecoming game, but Paul and Roger aren’t so sure. Roche moves up with a first place tie with Roger as he begrudgingly picked the Maize and Blue to win last week (by just a 3 point margin). Andy lags behind due to a missed pick during Duke week. 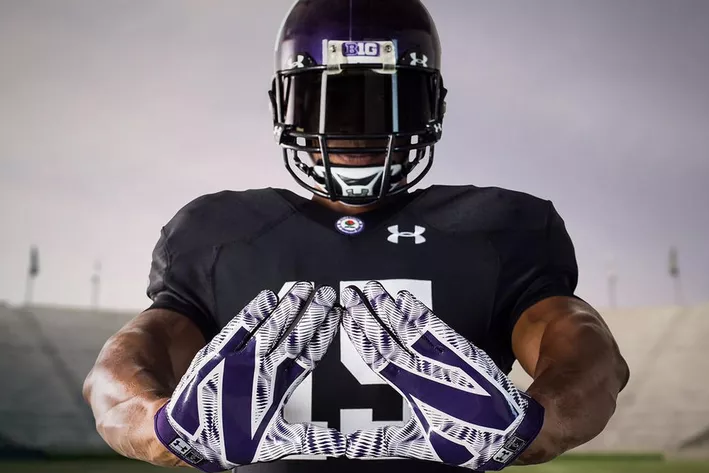 First week Northwestern hasn’t been unanimous since Duke. Let’s see if the ‘Cats are able to keep the streak going, and raise the W flag over the Big House. Well it’s Homecoming this weekend, and from what I can tell you all just enjoyed a fine night at Durkin’s, which means (1) I’m jealous and sad I’m missing out and (2) I shouldn’t expect a reply to this email for a good 8 hours. Game Summary: Iowa’s got a bunch of injuries, and it looks like CJB is banged up. The game really hinges on whether or not the ‘Cats can break free of their offensive monotony that has plagued them forever (LOLZ GOOD LUCK WITH THAT). I do think the ‘Cats have their tails between their legs and are ready to prove that last week wasn’t representative of who they are as a squadron. ‘Cats go into halftime down by a field goal. A few great defensive plays set up the offense in short field position and they convert two TD’s late 3rd/early 4th. Play of the Game: Big 4th down stop to seal the deal. Warrior to Watch: Rusty. He’s in town and going from tailgate to tailgate interviewing folks about their love for the ‘Cats and why they tailgate. Shoot us an email if you want to be included! Other Game to Watch: If you had Cubs-Mets in the NLCS back in April, I want to take you to Las Vegas with me (JK THE IDEA OF VEGAS FRIGHTENS). But actually tho – Penn State – OSU. PSU has been squeaking wins since they got embarrassed by Temple. Will their streak continue? Almost certainly not. Thank god the Cubs are still in the playoffs and I haven’t had to think about last week’s shellacking for a week. Have no fear my beloved Cats fans, I have returned to right the ship. Yes, that’s right the heartbeat of the heartland yours truly is back in the Chi and dammit it feels good to be home. Game Summary: Iowa scores on its first drive as Bethard connects with his tight end, however Dean Lowry and crew get angry as the tight end does the whip and nae nae in celebration. Iowa fails to get another first down. On the other side of the ball, things start slowly with two punts, but eventually Justin Jackson gets going and gets a few first downs. Thorson hits a wide open Garrett Dickerson on a play action fake for a touchdown. From there the Cats grind a hurt Iowa Hawkeye team into the dirt as Jackson racks up 175 yards rushing and two tds. Play of the Game: Miles Shuler returns a punt for touchdown. Warrior to Watch: Everyone at the tailgate. I will be filming a documentary about tailgating this weekend. Instead of the documentary cam that I wanted, I will be filming this one on DSLR, which means a far superior picture, so look your best people. Other Game to Watch: Cubs vs Mets, because it’s the playoffs man. Harvey implodes and the Cubs win. The ‘Cats enter this game with a one large question mark and another that I can’t get off my mind. Game Summary: ‘Cats come out fired up – yet they still are hungover a bit from last week’s rout. Iowa pounds the ball, moves the ball, scores the ball. I think our D comes alive, but only after giving up 10 quick points. Offense gets a JJ TD and the ‘Cats go in down 10-7. We come out of the second half and Iowa breaks one free but they’re rumbin’, they’re stumbin’, oh sh*t, they’re fumbin’ – Cakes Walker picks it up and goes to the HOUSE. ‘Cats roll after this. Play of Game: Cakes Walker with yet another fumble return for seis. Ay Caramba! Player to Watch: Thorson. Yup. Warrior to Watch: Day and Hack – mostly Hack. Let’s see a vampire. Other Game to Watch: MSU – Michigan. I got Sparty. I feel good about this game. Think the ‘Cats are pissed about getting demolished last year in Kinnick stadium 48-7. I was there – it wasn’t pretty. Game Summary: With Matt Harris out, how will our corners hold up? The secondary has been one of our biggest strengths all year, but I’m worried that injuries have worn them down. I see a couple long pass plays for Iowa. For our offense, it’s all about if our offensive line can get push and allow Justin Jackson to find holes. Iowa is missing their best DE to an ACL tear, so to be fair they have had some unfortunate injuries as well. I think this will be a close game throughout, with the Cats having a decent amount of success on the ground and struggling for the most part on offense – but connecting on a few jump balls to their receivers. I see the ‘Cats doing just enough and hold Iowa on fourth down late to win. Play of the Game Godwin Igwebuike with a pick six. After a heartbreaker last week the Cats have a crucial choice to make. Will they wallow in their loss at Michigan as I’ve been doing all week or will they be resilient and come out swinging for the all important homecoming game against Iowa. I tend to think Michigan is in fact, very good (they’ll beat MSU this week), but not as great as they seemed last Saturday. I’m in the camp that sees the Cats getting back up and fighting, but their miserable offense won’t be enough this Saturday. Game Summary: The Cats D regains some of the spark it lost during the Michigan game. It’s safe to say special teams won’t be giving up another opening kickoff return tomorrow. Thorson also struggles offensively as the thin O-line doesn’t help JJ get crucial 1st down yards, resulting in the 3rd and longs we’ve seen all season. Iowa and NU miss FGs back to back and the first quarter ends where it begins. The second half is where the Cats start showing some life after a great INT by the secondary followed by a JJ TD catch to the flat. 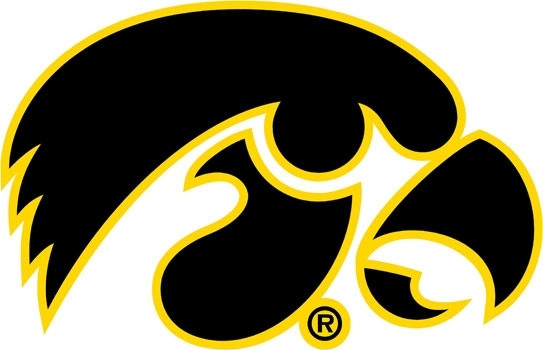 Unfortunately a turnover/botched punt gives the Hawkeyes great field position which they use to score a TD. The farmhands make a FG heading into the half. Cats are down 7-10. The 2nd half is a brutal one for all involved as NU’s offense reverts to what we all expected it would be this year. Thorson shows he’s still a wee freshman and a depleted O-line just makes it worse. Andy renews the rights to www.firemickmccall.com while the insufferable “Put Your Hands Up in the Air” song is blasted through Ryan Field’s speaker system. Luckily our defense makes the 2nd half brual for the Iowa faithful two as neither team can sew together more than one first down a drive. After a lengthy field position battle Iowa scores on a 40 yard bomb after a missed tackle by the corner in man coverage. Iowa wins 17-7. Play of the Game Thorson pump fake to 25 yard scramble for a first down leading to an NU TD to JJ on the next play. Player to Watch: JJ – JJ hasn’t looked great the last few games. Can he overcome the O-line issues and make some key plays on his own? Warrior to Watch: Grayhack and his camera. Hack is allegedly filming a documentary on tailgating this weekend with a very expensive camera. I have a feeling the Hack may want to take insurance out on that baby tonight. Other Game to Watch: Michigan – MSU. Yes. Michigan will be that good. Blue by 14. Cubbies take Game 1 with Lester on the mound as Javy’s 2 run yabo seals the deal. Yikes… Last week was unpleasant. You know what else was unpleasant? Last year’s game at Iowa. Those two unpleasantries should warrant a very pissed off and fired up bunch. If that doesn’t help here, then we just aren’t any good. Game Summary: Iowa will receive the kick because we haven’t received the opening kick since 1946. If you haven’t noticed, the ‘Cats D has been soft on every first possession this season. That trend will continue here, but we’ll buckle down and hold them to a field goal once they get in the red zone. After that, it’s all about Clayton and Mick(ey Mouse offense). If we show some semblance of scheme change then I think we have a fighter’s chance. If not, we’re going to get killed. It’s as simple as that. Oh…. and the trenches. Because it’s always about the trenches. Iowa is banged up, so I’m hoping we don’t have a trench performance like we did last week. I’m looking for the D line to play pissed off and the O line to play like an O line. Ultimately, I don’t really have any confidence in Mick, so I think we’re going to stall far too often. Iowa will score just enough in what will be a horrifically boring game. Play of Game: I really don’t think there’s going to be one. So, I’ll say JJ scores on a 5 yard TD run at some point. Player to Watch: Thorson and Mick because…. yea. Warrior to Watch: Rus! He’ll be filming everything he can get his camera on. Also, it’s his first game back in the West Lot this year (though he did go to the Duke game). Other Game to Watch: MSU – Michigan. This is pretty obvious from a B1G fan’s perspective. I have Michigan winning going away and vaulting to #6 in the nation. Don’t forget about the Cubbies on Saturday night either. No pick from Andy this week.